We have been writing some posts in order to illustrate some of the most important aspects about the use of WordPress in an easy to understand way and today we want to continue with this and go inside one of the most important capabilities of WordPress: the creation of networks or multiple sites under WordPress multi-site. We will talk about what it is, Will clarify some terms related to creation of multi-site installations, and we will go into some steps to be able to set it up. We hope you find this interesting. It has become a very important tool for bloggers but even more important for businesses running over WordPress, companies and institutions with a lot of information to publish. Take a look into this post, you will probably learn something you didn't knew. WordPress Multi-site or MS, formerly Multi-Users or MU, is a way to run multiple WordPress sites under a single installation. In the past there were two versions of WordPress, one for single sites active since 2003 and other one for multi-site installations since 2007. As of the release of WordPress 3.0, in 2010 MU (multi-user or multi-site) is no longer a separate project and is included under regular WordPress releases, which is a good thing because ensures that there will be more frequent updates as they promise on their page. The several ways to call WordPress multisite that can be found on the internet can cause a little of confusion but they can be explained. Multiuser or MU, refers to what it was the project in the past, when WordPress was only for blogging, and the project allowed the creation of multiple users accounts for blogging, and the entire installation was defined as a site. Multi-Site or MS, refers to what is the project now that WordPress is more than a blogging tool, what users can create on demand are now defined as sites and the entire installation is now defined as a network. The fact that multiple sites run under a single installation means that you will only need to download one copy of the software and all the information will be stored in one database. Every site of the installation can however, use a different theme, different plugins, and different users with different roles, and even the posts, categories, and tags in every blog are separated from other information in any other site of the network. so although everything is under one installation, it can be pretty much well divided. Comedy.com is a web portal featuring the funniest images, videos, and lists every week. Comedy.com uses WordPress multisite to pull the best content from its blogs to the homepage. 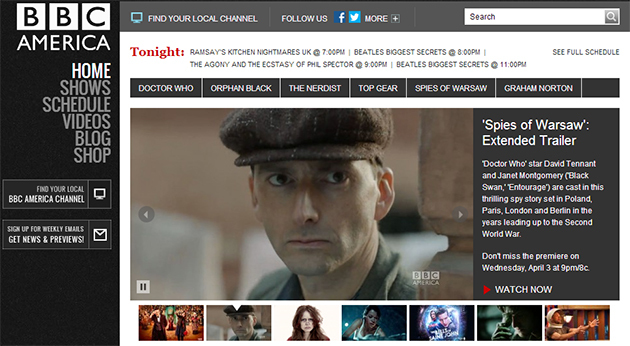 BBC America is a channel that shows both Britain and American shows. Every show has its own site, and each site, its own child theme. 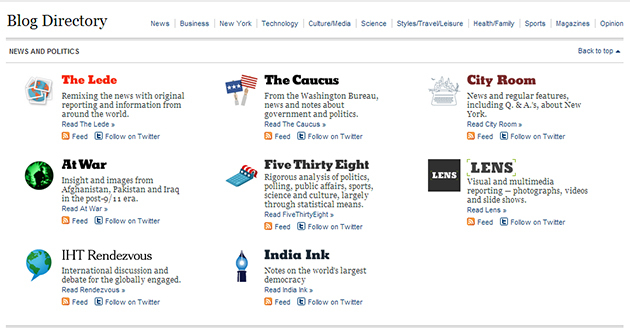 The NY times is one of the most important newspapers, it features through WordPress multisite more than sixty blogs covering all themes of interest such as politics, business, technology and more. 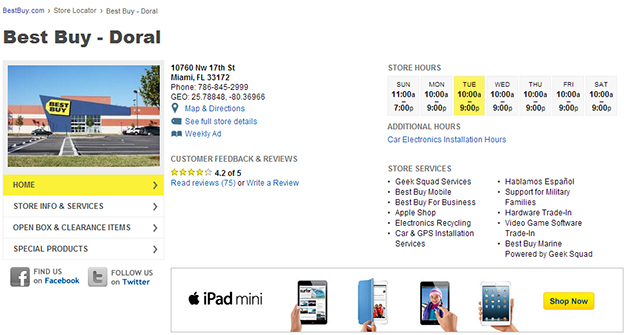 BestBuy uses WordPress multisite to power more than a thousand sites, one for a different store in the U.S. allowing the associates to blog about the events and other news, as well as the store location and other info. Edublogs is a site that currently powers more than a million and a half blogs, in a secure way, with no advertising, used for well known entities such as the Stanford and Cornell Universities. Now, we are going enter in details with some terms that a referent to WordPress MU. These are concepts that you should understand to be able to manage your network without confusion. For WordPress multisite, the word network does not imply that things are connected between them like they usually are in other kind of networks. The word network refers to a group of sites created under a single installation, This is the only thing that differentiates them from single installation sites. The concept of multisiste is very similar to blogs hosted at WordPress.com. Since users can create their sites on demand, although you can create a network where only you, the administrator can create sites. Subdirectory, Subdomain and Stand-Alone domain. Subdomains ideal use is when a domain contains sites talking about pretty much different things like cows.yourdomain.com and chocolate.yourdomain.com, and are a little more difficult to administrate than subdirectories, since DNS setup is more difficult than making or moving directories. Subdirectories are recommended if your sites do not differ too much from each other or if their contents complement each other. And also if you are pretty new to networking until you feel confident with the architecture and management of your site. Stand-alone domains are basically different domain names for sites running under the same installation. Specially in this case, you are required to know about domain mapping and to know about CNAME and A methods. There is a WordPress plugin called WordPress MU Domain Mapping that can help you doing this task although, with it your domains will appear as stand alone sites. Is the process of pointing a domain name (www.mysite.com) or even multiple domain names to a primary hosting account. Most of the hosting service providers offer this service and you should check with them to know how to go with it. Domain mapping helps converting a subdomain or subdirectory address into a stand alone one, which helps you to define a particular name for the site over the default one given when you create it. So it lets you hide the fact that your sites are part of a single multi-site network If you are planning to make multiple domains to point to an unique hosting account, or to change the domain name of a website, you might need to have some knowledge of this. The main DNS records of a domain of a website are known as A records. when a website is set for the domain name, there is at least an A record that associates the website with an IP address or internet protocol. When you get a hosting service, the host assigns an IP address to your site. A records are also set with subdomains, this is done when the site admin wants to have the subdomain name pointing to an IP address different from the main domain’s one. given this if typing mynewsite.yourdomain.com, it is redirected to yourdomain.com if you own the main domain. DNS system will always redirect people entering mynewsite.yourdomain.com to yourdomain.com CNAME, or canonical name records are resource records used in Domain Name system, its purpose is to serve as an alias for the name assigned in the A record, so every record has a CNAME record and the host name from the A record. now using the example URLs, mynewsite is the alias and yourdomain.com is the host name. With this setting visitors entering mynewsite.yourdomain.com are redirected to the main page yourdomain.com. Naturally, the use of tools like this implies pros and cons of use, let's check them. Total independence among the sites created. understanding admin roles, and the multisite mode in general, can be confusing. if something goes wrong, all sites will be affected. if an update goes wrong , all sites will be affected and will be crucial to perform opportune backups. Large companies: There are several cases of companies using WordPress multi-site in an intranet to create an organized network and effectively provide content to the different departments and allow account creation for every member of each one of them. Schools: In the same way as an university, just at a smaller range. Blog hosting projects: In an example, Its a growing tendency to create social networks for specific social groups. let's illustrate it with a fictional site http://iamamusician.com which is a social network for musicians that allows site creation on demand. Just like Facebook would do. Before proceeding with the installation, you need to think about the way you want your network to be set up (subfolders, subdirectories). And of course, you need to prepare your server for MU. Depending on your case, or if you feel uncomfortable with following these steps, you will need to contact your web host or a professional to complete these steps since you might need some previous knowledge about the WordPress and server environments. We include in the next section some important steps for you to follow in order to get your server ready for a MU installation, as well as a video with simplified instructions to install MU. However, we highly recommend you to visit the very well detailed WordPress codex documentation to create a network since errors may occur at any moment and you will probably have to walk back on your tracks to find the error and you will need to know what you are doing to avoid worse things to happen. This is a step that needs to be applied on the Apache files on your server. Apache is a software that is loaded and running on your Web server. But not everyone has access to Apache files. Usually, the person who has access to those files is the Web server administrator (your web host). Depending on your account and configuration, you may not have access to these files, so ask if you are unsure. The Apache module that’s necessary in order for the WordPress Network to create nice permalink URLs is called mod_rewrite. It must be configured so that it’s active and installed on your server. You or your Web host can make sure that the Apache mod_rewrite is activated on your server; open the httpd.conf file and verify that the following line is included within: [code]LoadModule rewrite_module /libexec/mod_rewrite.so[/code] If not included, type that order on its own line and save the file. You will probably need to restart Apache for the changes to take effect. Find the <VirtualHost> section in the httpd.conf file. This line of the httpd.conf file provides directives, or configurations, that apply to your Web site. Replace yourdomain.com with whatever your domain is. This line defines the host name for your Network site and is essential for the virtual host to work correctly. Save the httpd.conf file and close it. To enable the Network, you must define multisite in the wp-config.php file. Open up wpconfig.php and add this line above where it says /* That's all, stop editing! Happy blogging. */. or if this line does not exist, insert it above the first line that begins with require or include: [code]define('WP_ALLOW_MULTISITE', true);[/code] You will need to refresh your browser to continue. Then go to administration> tools > network setup and follow the steps which are a couple of simple copy and paste tasks, that once done, will let your WordPress site convert into a network. This video explains the installation process in a really simple way. One of the key advantages of WordPress multisite is the one that allows to add active sites to the new installation. this has been a very helpful tool for a lot of admins that before upgrading to the multisite version of WordPress already managed one or multiple sites and did not want to lose the database. Although there is a video below showing the process to make it as simple as possible, it is better to continue with the following process if the expertise with managing server files is enough to be comfortable with the process and understand each step. Make backup(s) of the site(s): Though it can be a little tedious, it is highly recommended to make a backup of the site(s) so, in the case something goes wrong, you can rely in your backup most importantly the destination blog. WordPress.org offers instructions to back up your database using several methods. and your installation offers the option to export your content information such as posts, pages, comments, custom fields, categories, and tags through the admin bar menu> Tools> export. back up can be done also by putting the info of the WordPress folder in a zipped file. Create a new site in the multisite installation: using the option add site on the multisite dashboard, making sure that important plugins are available in the new installation. 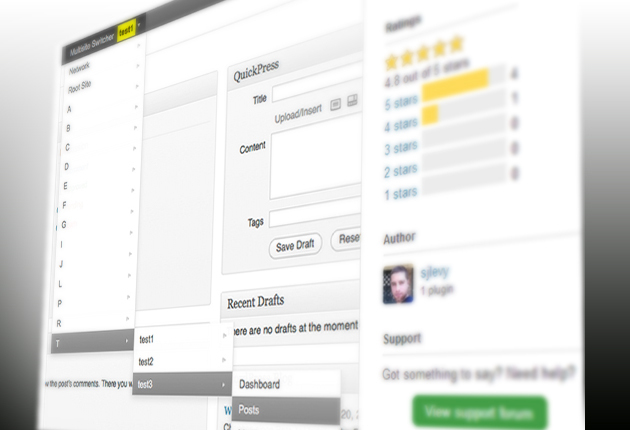 The latest WordPress version should be used to make the process as smooth as possible. Transfer the database: you can either use the import method, and import the XML database created previously with the export method, this method can be sometimes a failure due to PHP limits. The other option is to copy the database using phpMyAdmin menu or SQL commands. Activate the site: activating the site may require you to use a new URL or to change the old folder name if you don’t want to have the old installation to be appear when someone uses that address. Restore the widgets and plugins: the widgets options saved in the old database should be copied because these are not exported. The super administrator or network administrator has the control over the multisite installation and his dashboard differs from the one of a regular administrator because there is a new widget to control all sites, and widgets to control a particular site will not be seen in the admin bar. There is a network admin that can only be accessed by the super administrator and allows to manage the settings of the whole network. And as it was explained before, the plugins and themes are installed from this network admin to be made active/available for all sites in the network. Considering that managing only a single installation can consume a lot of your time, managing a multisite installation may be a difficult task, and every time new plugins come out to change this and make the Super Admin's task a nicer experience. This plugin is essential if you need every site to have a different domain and domain mapping is not one of your skills, it counts with a lot of good reviews from its users who find it a very easy to use plugin. This is a plugin with a very good reception within the users. As it might result a little bit difficult to track the plugin activity in all and each one of the multisite accounts. This plugin adds a column to your network admin to show which sites have each plugin active, and which plugins are active on each site, and the active theme on each blog. 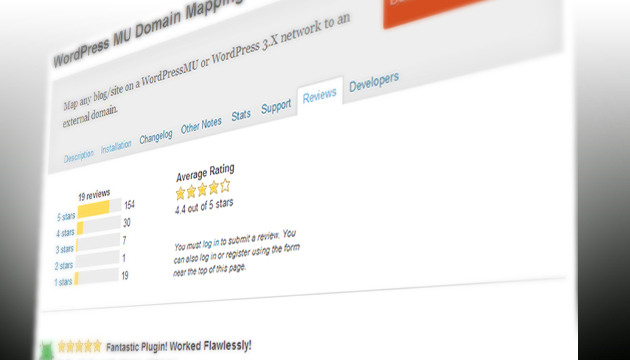 Now you can easily determine which plugins and themes are used on your network sites and which can be safely removed. Allows to switch between different different sites in your network with the help of a dropdown menu featuring all sites in the network and the most important admin bar features to make things easier for all super admins. This is a plugin that pulls all blogs posts into a main page or tags page, similar to wordpress.com/tags; this page can have as many entries as the user wants and can also by user’s decision be indexed by search engines or not. This plugin allows to broadcast a post to one or more blogs into the same network. 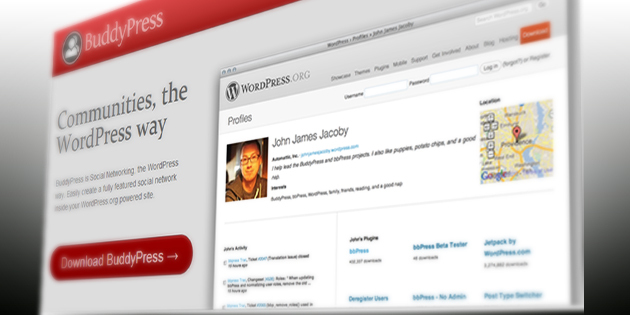 Buddypress is a very popular social network plugin for Multisite and non multisite installations of WordPress. Allows to WordPress users sharing a single installation to have a social network platform in a simple way; one of the most popular plugins ever developed. We hope you had a nice time reading. With this info, maybe you will be able to decide if you are better with running single installations, or MU installations and how to proceed if you choose MU. There are other posts and sites on internet that go further in some aspects that might be important to you, like the use of the plugins, or the process of moving sites, we thank them for making their info available for everyone. We hope you stay tuned with us and share this article. Good Luck! line icons: 12000 free outline icons - 2870 icons.